"Roses are red; violets are blue, stay calm and use rose-infused beauty products." Rose petals have long ago been infused into the water for beauty purposes. Rose water is great for toning and hydrating the skin. When it comes to using botanical ingredients in beauty products, nothing quite compares to roses. 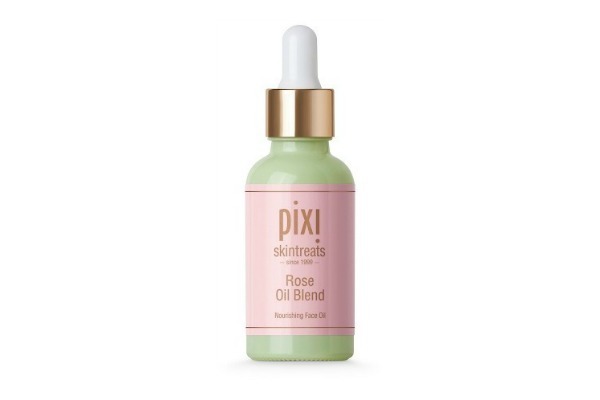 A lot of beauty brands have adopted infusing some of our favorite makeup and beauty products with the alluring and incredible benefits a rose extract provides. Furthermore, there are more beauty benefits to using rose infused beauty products. 1. It helps maintain skin's pH balance. 2. It has excellent anti-inflammatory properties. 3. It contributes to hydrate and tone your skin. 4. It has amazing anti-oxidant properties that help aging skin to keep the wrinkles and fine lines away. 5. It cures dark circles and prevents puffiness. 6. It contributes to getting rid of acne, dermatitis, and eczema. Our absolute favorite rose beauty products. This floral blend is infused with a potent compound of youth-preserving oils to help improve skin's elasticity and glow. Sweet almond, rosehip, jojoba, pomegranate seed, and rose geranium oils nourish the complexion, leaving it comforted & smooth to the touch. 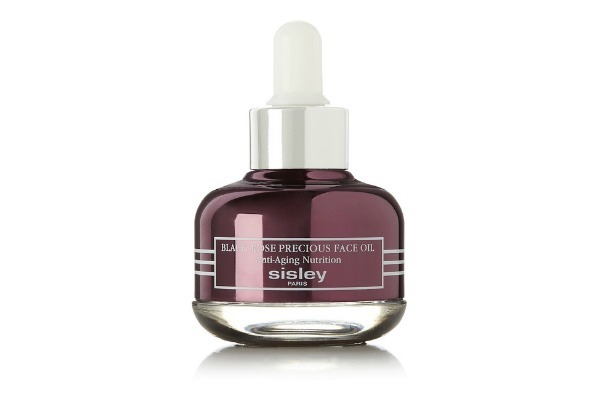 Sisley - Paris' Black Rose Precious Face Oil is specially designed for dry or mature skins. Rich in Omega 3 and 6 and powerful plant-based active ingredients - including Bulgarian Rose and Magnolia - this anti-aging formula rejuvenates and revitalizes while preparing skin to absorb products in your skincare regime better. Fragrant Black Rose extract offers a silky touch and delivers a romantic scent. 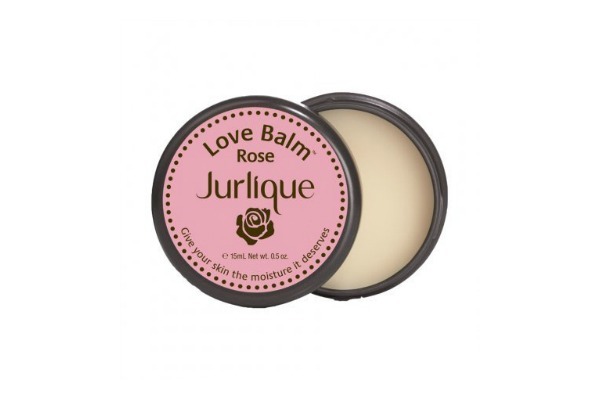 - Infused with Plum, Camelina, Bulgarian Rose and Magnolia oils - Visibly smooths wrinkles and fine lines. 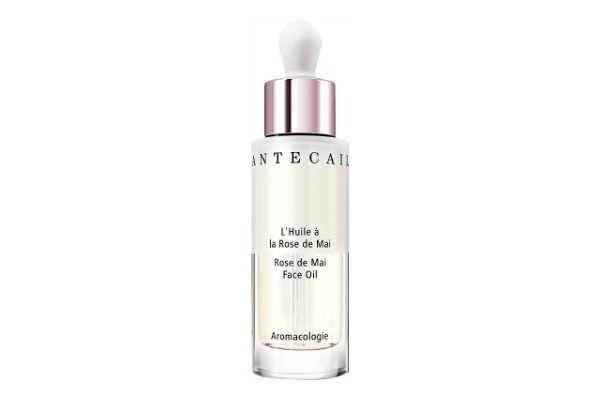 Chantecaille introduces Rose de Mai Face Oil, the latest addition to the Rose de Mai collection. The supercharged formula pairs a luxurious, nourishing texture with the de aging properties of Chantecaille's iconic Rose de Mai. This 100% natural elixir is infused with potent botanicals that lessen the appearance of fine lines while promoting a brighter looking complexion. Boosted by a gorgeous bouquet of roses: RoseHip, Evening Primrose, Rose Damascena and Rose Geranium it delivers immediate nourishment in just a few drops. Ultra nourishing plant oils harvested from four corners of the world work to create more supple, dewy looking skin. A high concentration of pure and active plant ingredients promotes a more firm appearance, lessens the looks of lines and wrinkles creating a brighter, healthy looking glow. 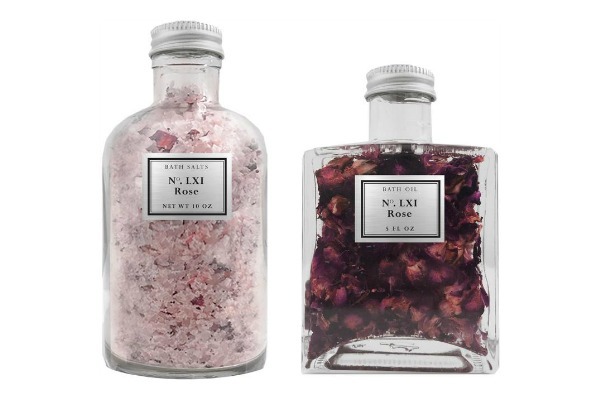 The ultimate luxury, bathing with these rose-infused, nutrient dense oils and salts is a therapeutic experience for mind and body. This set includes Bath Oil (5 fluid ounces) infused with rose centifolia petals and scented with rose otto essential oil, a natural antidepressant and aphrodisiac. Himalayan Rose Bath Salts (8 fluid ounces), a delicate blend of essential oils and more than 80 nourishing and skin-replenishing minerals. Introducing a fresh new way to stay pretty, featuring coconut and rose: Rose Hibiscus Hydrating Face Mist is created with pure plant actives — no fillers. A base of coconut water is infused with youth-boosting hibiscus flower petals, and moisture-enhancing rose to tone, hydrate, and soften all skin types. Truly Natural. Everything we create contains the finest all-natural ingredients, with an emphasis on ingredients that are plant-based, organic, and food-grade. Each ingredient is included for a therapeutic reason. We're not sure what Jurlique had in mind when they named this glorious all-in-one, but we love this product in a big way. Infused with natural flower and plant extracts, this salve works anywhere you have scaly skin - elbows, cuticles, lips - and it also helps to soothe irritation and protect from free radicals. If you are looking for a perfect combination of floral and flowery tones, Be Delicious Fresh Blossom Eau So Intense is the fragrance for you. Created by Donna Karan in 2012, this captivating scent uses rose, violet and woody notes for an infusion of nature wherever you walk. Citrus and apple blossom notes create a sweet and engaging underlying tone to enchant your company. Wear this women's scent to work or school all throughout the day. 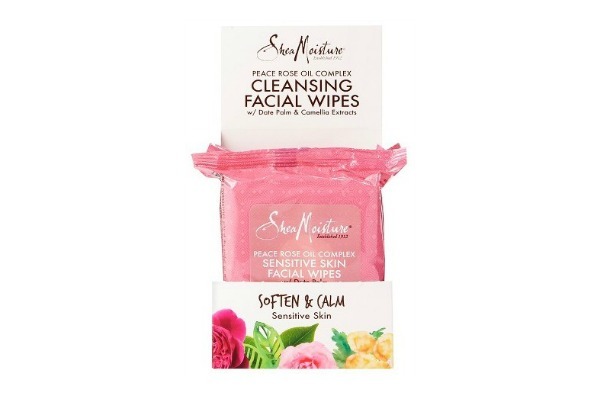 SheaMoisture's Peace Rose Facial Cleansing Wipes are biodegradable, botanically-infused towelettes that remove makeup, dirt, and impurities without rinsing or drying out skin. Wipes are infused with skin-nourishing Certified Organic Shea Butter, and our proprietary complex of Alpine, Damask and Musk Rosewater. Do you use rose infused beauty products? I've always wanted to try the Sisley Black Rose Precious Face Oil, it's extremely expensive but it also sounds really efficient! I actually don't really like the smell of rose, yet I definitely appreciate its skincare benefits! Lovely post! 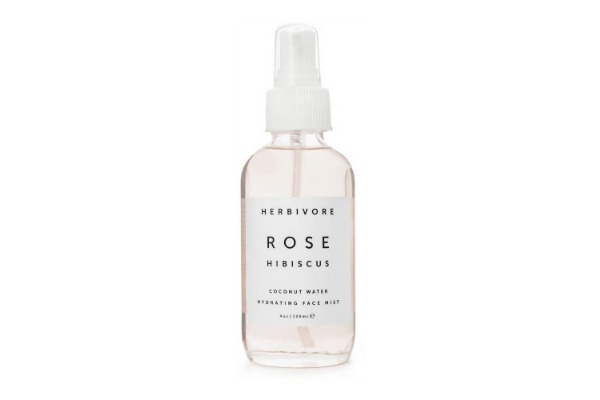 I use rosewater mist for my face, and I love it. Thanks for visiting.